2015’s theme is Don’t Wait. Communicate. Make Your Emergency Plan Today. In this toolkit, you will find useful tips on how to promote preparedness by using graphics, videos and text to promote through social media. Each week in September will focus on a specific hazard. We will post resources and tips to raise awareness to help you learn more about the hazard. 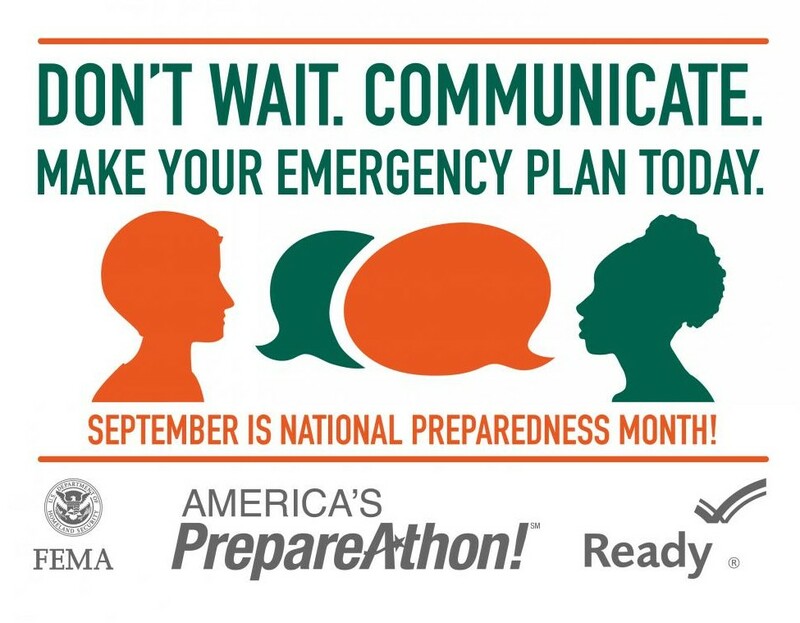 Continue the momentum by participating in National PrepareAthon! Day on September 30. Join America’s PrepareAthon! and register your own event or join other activities and events. Go to America’s PrepareAthon! to select your activity. The New Jersey State Library and the New Jersey Library Association are asking libraries, “What can we do to make our communities better prepared for emergencies?” With over 450 locations across New Jersey, our libraries can play a major role in community preparedness and resiliency. Let’s spread the word! 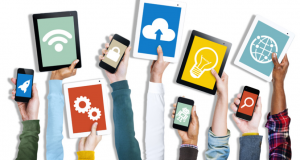 Print flyers, advertise on social media, create displays, have events, talk to patrons, and whatever else you can do. Find the New Jersey Office of Emergency Management (NJOEM) on social media. Plan a blood drive – Close to 2,000 donations are needed each day in the New York/New Jersey community for patients who require a lifesaving blood and/or platelet transfusion. Donating blood today will save many lives tomorrow. Contact Local OEM – Click here to find your local OEM. Distribute handouts about being prepared for emergencies, including emergency kit checklists. Promote CERT Teams/Teen CERT & Medical Reserve Corps. CERT teams are designed to make individuals, their families and their communities safer, stronger and better prepared to deal with a terrorist attack or a natural disaster. Print out your own bookmarks here. Have a program in your library – Invite a fireman, policeman, OEM coordinator or CERT team members for a program about preparedness.Click here for some children’s programing ideas.Check out our Pinterest board for ideas, including having library users create their own emergency preparedness items.